Makers of the film Haseena Parkar dropped the first song Tere Bina from the film. The track is a romantic number and will see a young and newly married Haseena Parkar in an exciting new relationship with husband Ibrahim Parkar. 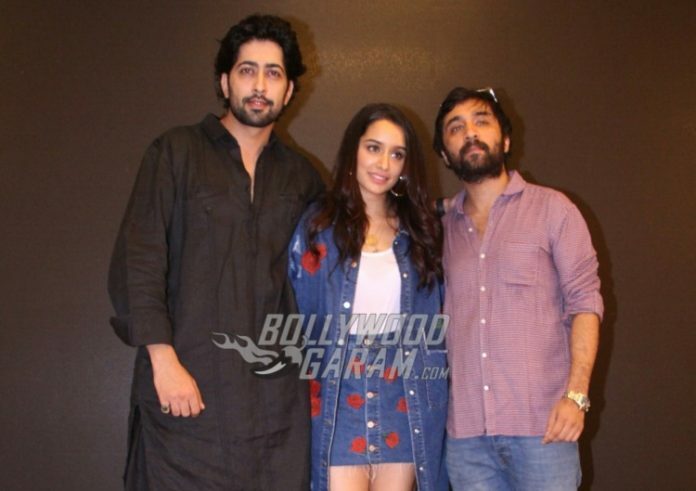 The romantic track is sung by Arijit Singh and Priya Saraiya and was shared by lead actress Shraddha Kapoor on Twitter and wrote, “Love is one of life’s greatest blessings…feel it with #TereBina from #HaseenaParkar.” The chemistry between Shraddha and co-star Ankur Bhatia is flawless and cute and will kindle the romantic side of every listener. The upcoming film is directed by Apoorva Lakhia and also stars Siddhanth Kapoor and Rajesh Tailang playing important roles. Shraddha will be seen playing the role of Dawood Ibrahim’s sister Haseena Parkar who had taken charge of the underworld after her husband’s death. The film faced a lot of delays and is finally ready to be released on September 22, 2017. This will be the first time the audience will see Shraddha in a different role. The posters of the film have shown that the actress will be seen playing the role of a middle aged woman who takes over the underworld and started extorting the real estate owners.